Known as the “Sunshine State”, Florida is the premier destination for vacationers and investors. Offering an abundance of beaches, dining, arts, culture and events – come experience this natural paradise. 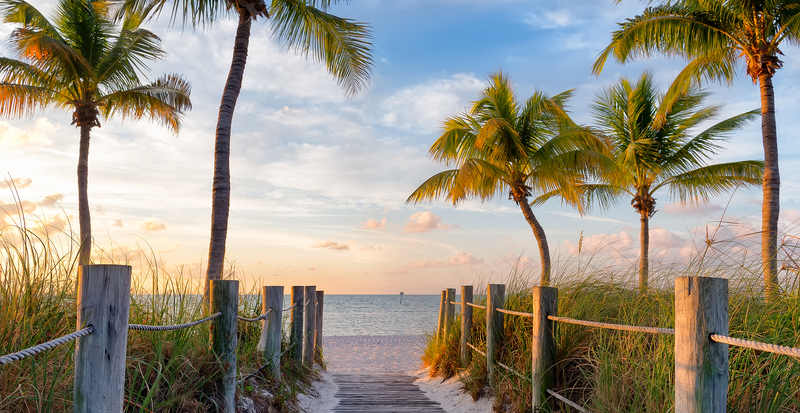 Florida is one of the most popular destinations for snow birds and family vacationers from around the world. With approximately 1,350 miles of coastline, Florida has some of the most popular beaches in Continental U.S.
For those looking to buy or rent a property, the current Florida real estate market is very promising. With economic growth and a decreasing unemployment rate, the Florida real estate market is heading in the right direction for investors and homeowners alike. Florida hosts some of the most popular tourist destinations in the world, including Disney World, Universal Studios, Kennedy Space Station, SeaWorld, Key West, Naples, South Beach, Miami Beach and Everglades National Park. The state also features some of the most prestigious golf courses in the country. The most sought-after cities within the state for investors, snow birds, and vacationers include: Naples, Miami, Ft. Lauderdale, Ft. Myers, Orlando, Florida Keys, St. Petersburg, Tampa Bay area, Jacksonville and West Palm Beach. Along with Hawaii, Florida is one of only two states that has a tropical climate. It is also the only continental U.S. state with a coral reef, called the Florida Reef. The Graham Partners are uniquely positioned to help facilitate all real estate transactions within the state. With a white-glove approach, our clients will seamlessly be able to enter the Florida market with the utmost confidence. Whether you are looking to buy, rent or sell a property, we will help you connect with the most appropriate professionals in your desired location(s). The Graham Partners services extend far beyond what a conventional real estate team offers. As the premier resource for Canadians buying, selling or leasing in Florida, we provide our clientele with a complete suite of services. We will guide you seamlessly throughout the entire process, whether it be personal introductions to real estate agents, mortgage advisors, lawyers, insurance providers, property management, disaster relief and recovery, and much more! Connect with us today to learn more about the Florida Real Estate Market. *The Graham Partners will not charge for any of our services involving the facilitation and introductions to service providers in the Florida market or elsewhere. The Graham Partners are compensated by the service providers as a “referral fee” upon successful completion of a transaction. As a buyer, seller, landlord and/or renter, there are likely fees to be paid to the required services providers. Although we conduct appropriate due diligence, The Graham Partners make no warranty and will not be held liable for these costs, the satisfaction of services rendered and/or any issues that arise from any transaction made.